Analysis: Warren's plans represent what many struggling voters say they want: a clear accounting of how a would-be president would reduce their burdens. About 14,000 more families would pay taxes on estates worth over $7 million. That would finance 3 million new affordable housing units for low-income families. The 75,000 richest families would pay a 2 percent tax on the value of their wealth above $50 million; the 900 families worth more than $1 billion would pay another 1 percent. That would finance child care and early childhood education for 12 million kids under 5 — free of charge for families below 200 percent of the poverty line. Workers would gain more clout by acquiring the power to elect 40 percent of large corporate boards. Consumers would face technology behemoths a little smaller than today. Corporations could not wield influence by hiring ex-lawmakers and Cabinet members to lobby the government on their behalf. Each of these proposals from Democratic presidential candidate Elizabeth Warren would be difficult to enact, at best. Each would arouse fierce opposition from those who would pay the bill, including the economic titans of Wall Street. If enacted, the plans could fail to achieve their goals, or backfire through unintended consequences. One rival Democrat, former business executive and House member John Delaney of Maryland, says the Massachusetts senator's wealth tax may not even be constitutional. 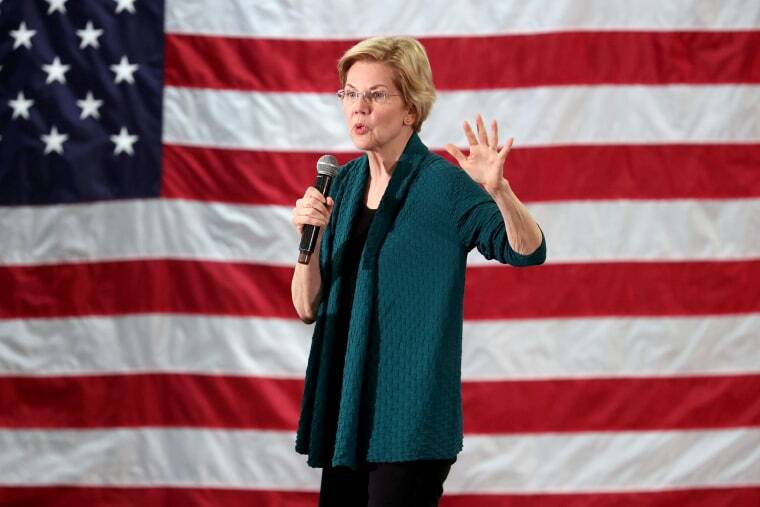 Taken together, however, Warren's plans represent what many financially squeezed voters say they want: a clear and comprehensive accounting of how a would-be president would reduce their burdens. In practice, voters respond to specific proposals less than personal charisma or simple familiarity. That explains why Warren lags behind opponents such as Beto O'Rourke of Texas, who recently joined the contest, in national polling, fundraising and media attention. Yet a 2020 debate about average families' struggles to get ahead plays to Warren's strengths as a bankruptcy scholar, consumer advocate and second-term senator. While O'Rourke has only begun fashioning a campaign agenda, Warren has set the pace for the field on detailed policy ideas. She started last year while cruising toward re-election to a second Senate term. Warren took aim at two ways fellow Democrats say the economic system is "rigged" against average families. What are Elizabeth Warren's policies? Her "Anti-Corruption and Public Integrity Act" proposed an array of steps to constrain corporate influence over the White House, Congress and the courts. In addition to unprecedented limits on lobbying, Warren proposed new government posts to investigate ethics violations and to help members of the public influence rule-making by federal agencies. Her "Accountable Capitalism Act" outlined steps to counter the erosion of workers' influence resulting from declining rates of unionization. While empowering workers to elect board members of corporations with revenue exceeding $1 billion, it would discourage financial maneuvers to reward those at the top; the plan would bar executives from selling company shares within three years of a stock buyback. More recently, Warren targeted the concentration of corporate power, which some Democratic economists argue harms consumers and small businesses alike. Piggybacking on anger over Russia's 2016 election interference, she proposed breaking up tech giants Facebook, Google and Amazon to regulate them as "platform utilities." Her housing and child-care proposals promise more concrete benefits. Both target impediments to advancement for individual families and the overall economy. Warren's housing proposal would spend $50 billion annually to help local governments ease the shortage of affordable residences and help families make down payments. Moody's Analytics concluded that the plan, financed by Warren's estate tax increase, would add 3 million new affordable units and create 1.4 million jobs within 10 years. Her child-care plan would offer federally subsidized care and early education for all children up to age 5. Middle-class families would pay no more than 7 percent of their incomes; those earning less than twice the poverty level would pay nothing. Affordable child care for infants helps parents enter the labor force. Expansion of early education for 3- to 4-year-olds, economists agree, can enhance skills and productivity of future workers. Moody's calculated that Warren's plan would boost the number of children receiving early care and education from 6.8 million today to 12 million in 10 years. The typical family's child-care costs would decline by 17 percent to less than $6,000 annually. The program would cost: $700 million. That's just over one-fourth of the $2.7 trillion over 10 years Warren estimates her "wealth tax" would raise. On paper, at least, that leaves $2 trillion for Warren to spend on proposals she hasn't yet announced. Her challenge: attracting the attention of Democratic voters as much as O'Rourke has by jumping up on the counters of coffee shops. John Harwood is chief Washington correspondent for CNBC.